New Midway Listing with 6 bedrooms, 3 bathrooms and 5060 square. "Come see this beautiful Dutch Fields home! Large great room with fireplace opens to a spacious kitchen with SS appliances, 6-burner gas stove with convection and steam oven! Master on the main! Huge loft upstairs. Wonderful wraparound covered porch from front to back on the south side of the house, perfect for enjoying the outdoors and watching the sunset. Basketball court in your backyard! HOA amenities include clubhouse, pool, jacuzzi, tennis court and walking trails. Relax in your beautiful home or go outside to enjoy world-class year-round activities from your doorstep. Easy 15 minute drive to Deer Valley Gondola, 25 to Park City or Provo, 45 to SLC Airport. This is an absolutely dreamy location within a recreational paradise! 3D tour attached for a virtual walkthrough! " New Draper Listing with 6 bedrooms, 4 bathrooms and 3894 square. "PRICE REDUCED 10k!!! This beautiful 2 story home is located in the heart of Draper as it's close to great schools, shopping, restaurants, parks, and the freeway. It is move in ready with updates throughout! The upstairs includes a game room and it's own laundry room. Also the carpet upstairs was recently replaced and is less than a year old! The backyard is spacious and also has RV parking. Don't miss out on this beautiful home! " 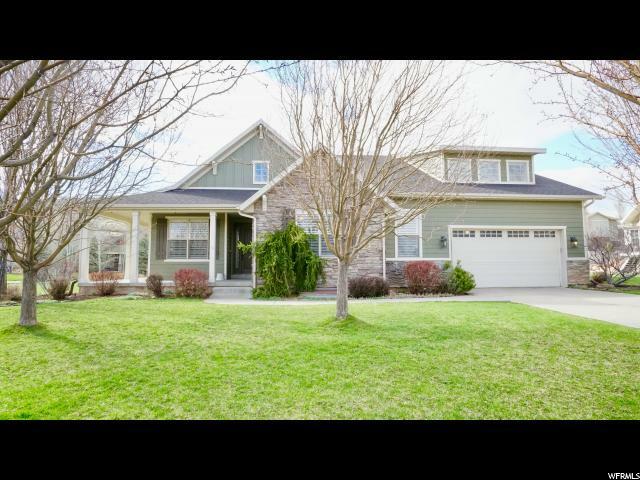 New Herriman Listing with 5 bedrooms, 5 bathrooms and 7235 square. "Nice upgraded home located in the Cove at Herriman Springs. Stainless steel appliances, gas stove, large island, granite countertops, large formal dining room, den, high ceilings, beautiful wood flooring, central vac, large bedrooms, updated bathrooms, large master with sitting area and fireplace, walk-out basement with 10 foot ceilings, lots of storage. Large deck and mountain views, RV Parking. Square footage figures are provided as a courtesy estimate only and were obtained from appraisal. Buyer is advised to obtain an independent measurement." 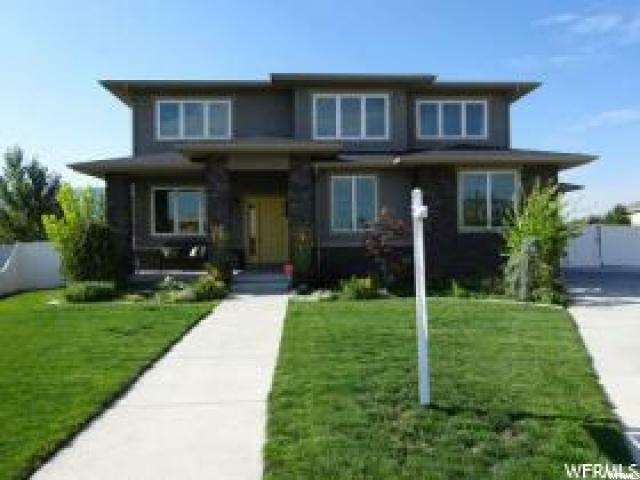 New Herriman Listing with 6 bedrooms, 4 bathrooms and 4037 square. "This Beautiful 2 Story Aspen 2 is one of our NEWEST Floorplans. Located on the South Herriman Bench, Gorgeous Valley and Mountain Views, Dining, Kitchen, Great Room, Lots of Windows, and Gorgeous Finishes. Massive Master Bedroom located on the Main Floor! Hurry in and take a look...Ask about our preferred lender incentives!!" 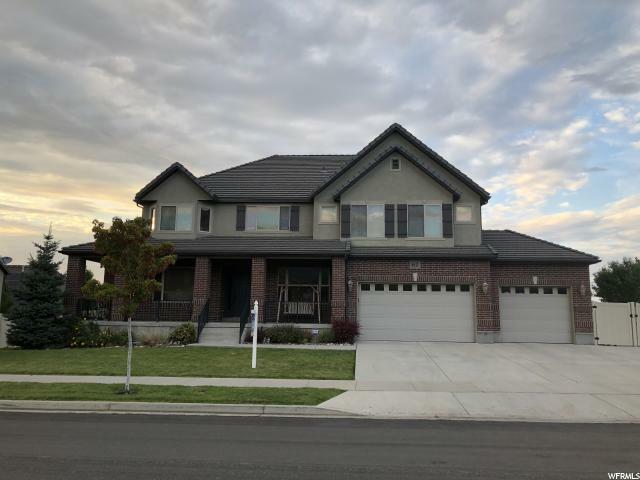 New South Jordan Listing with 4 bedrooms, 4 bathrooms and 3046 square. "Beautiful Home On Corner Lot with a Great Location!!! Must see Unique open floor plan with Updated Kitchen located on front of home w/Stainless Steel Appliances, Travertine Tile Floors & Granite Counter Tops with 18' Main Floor Ceilings as well as New Stainless Steel Washer & Dryer. New Furnace & Central Air 2018! Two of the Bedrooms are Large with Walk-In Closets. Large 2nd Family Room in lowest level. Basement Access to the Large fenced backyard for relaxing around a built in fire pit. Side gate w/RV Pad & with all that grass, you'll need the Riding Mower that's Incl. Also a Dog Coop for the pets! " 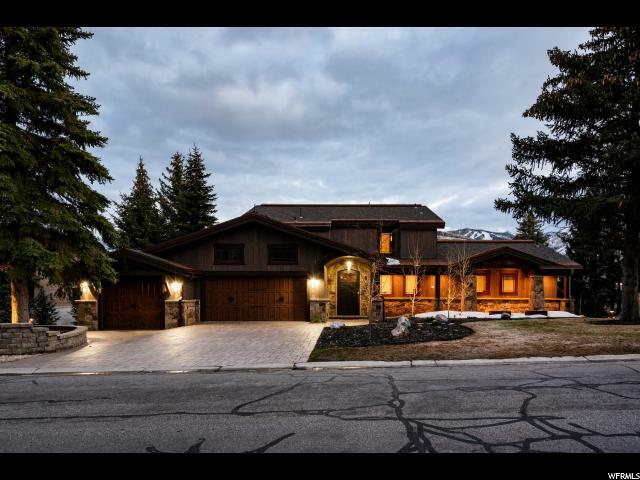 New Park City Listing with 6 bedrooms, 5 bathrooms and 4714 square. "This beautifully reimagined home sits on over 4 acres fronting onto the newly preserved Osguthorpe Farm off of Old Ranch Road with remarkable views of the Park City ridgeline. The home was completely rebuilt in 2015 with dramatic finishes and an exceptional floor plan. The main portion of the home features a striking great room with expansive windows and a connoisseur's kitchen that flows naturally to the outdoor spaces that include a large patio and fire pit. Adjacent to the great room there is a cozy hearth room and an elegant bar for more intimate gatherings. The luxurious main floor master suite also takes full advantage of the views and includes a spa level bathroom with a steam shower and soaking tub. There is also an inviting family room on the second level of the home with good separation and privacy from the main level living areas. The exterior of the home merges handsomely with the beautifully landscaped yard with rustic wood siding, natural stone and copper accents." New Park City Listing with 5 bedrooms, 8 bathrooms and 6026 square. "Nestled in the pines and aspens of a beautiful hollow, this luxurious contemporary townhome lives like a home with a gracious open floor plan. The great room features a dramatic floor to ceiling stone fireplace flanked by equally large windows framing the seasonal sights of nature in the mountains. Architectural minimalist treads lead to the private upper level master suite with a gas fireplace and sitting area infused with natural light. Custom lighting and wall coverings add an artistic aesthetic throughout. Large wrap around decks and the lower level family room offer additional entertainment spaces. Enjoy seasonal hikes starting at a nearby trail as well as all of the dining, shopping and activities in Park City. Enclave is a community of 33 town homes and 4 private homes that have been architecturally designed to intrinsically blend with their natural surroundings. " New Park City Listing with 5 bedrooms, 8 bathrooms and 6026 square. "Nestled in the pines and aspens of a beautiful hollow, this luxurious contemporary townhome lives like a home with a gracious open floor plan. The great room features a dramatic floor to ceiling stone fireplace flanked by equally large windows framing the seasonal sights of nature in the mountains. Architectural minimalist treads lead to the private upper level master suite with a gas fireplace and sitting area infused with natural light. Custom lighting and wall coverings add an artistic aesthetic throughout. Large wrap around decks and the lower level family room offer additional entertainment spaces. Enjoy seasonal hikes starting at a nearby trail as well as all of the dining, shopping and activities in Park City. Enclave is a community of 33 town homes and 5 private homes that have been architecturally designed to intrinsically blend with their natural surroundings. " 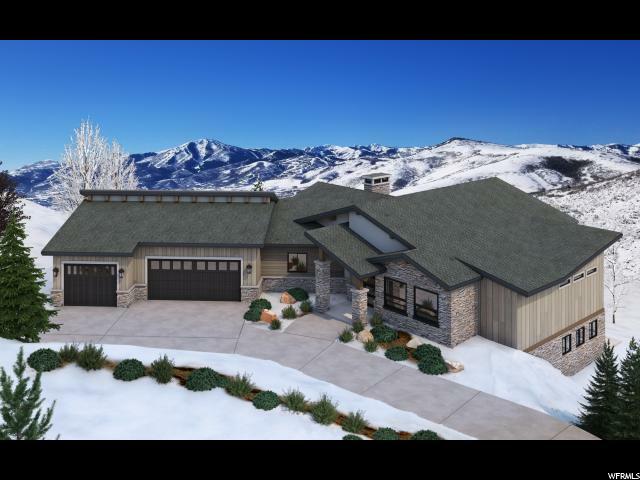 New Park City Listing with 4 bedrooms, 6 bathrooms and 5880 square. 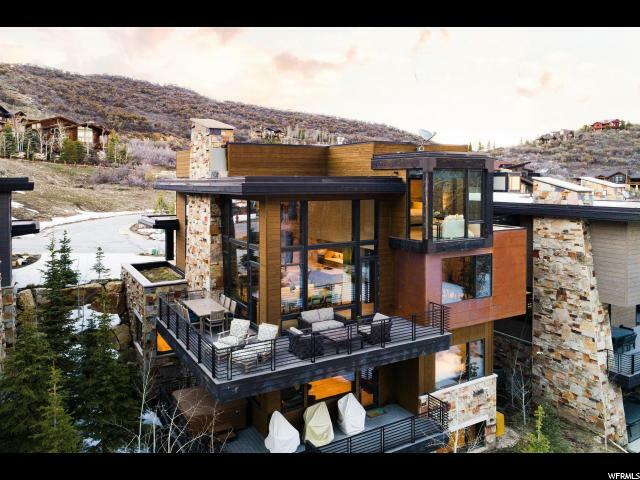 "Enter this extraordinary home and take in the unobstructed southern views across the stream and open space to Park City Resort. This home has been completely repurposed with main level master suite and the perfect blend of Mountain and Contemporary finishes. With 3 additional in-suite guest bedrooms, proper office, gym, theater room and 3 car garage this home will amaze. " New Heber City Listing with 4 bedrooms, 5 bathrooms and 4653 square. "Spectacular new-build, Mountain home. Peaceful setting. Exclusive neighborhood. Stunning views. 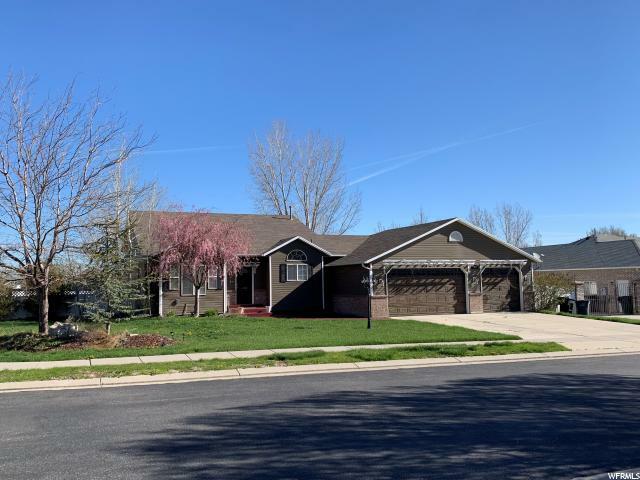 Mountain living....with all you need conveniently close-by: 12 minutes from Park City; 17 miles to Heber City; 40 miles from SLC International Airport. All the perks of Park City without Summit County taxes. Low, LOW ($32/mo.) HOA fees! Home is currently under construction - with anticipated completion in July 2019. Depending on timing, Buyer may have input on selection of finishes. Square footage figures are provided as a courtesy estimate only. Buyer is advised to obtain an independent measurement."